I really love the ballet flats, Diane. They look like something I would enjoy wearing and the top with the short sleeves would be so cute on you! Love all of the pretty bottles. I've always wanted to put big seashells in the top of some pretty bottles. I may want to join you with beautiful Sunday posts. This is a wonderful theme, name mate! I am LOVING your idea of Beautiful Sunday posts!! And swimming with your family? Sounds heavenly! I am just waiting for the day that it actually warms up enough in my neck of the woods for swimming! What a fun series this will be! 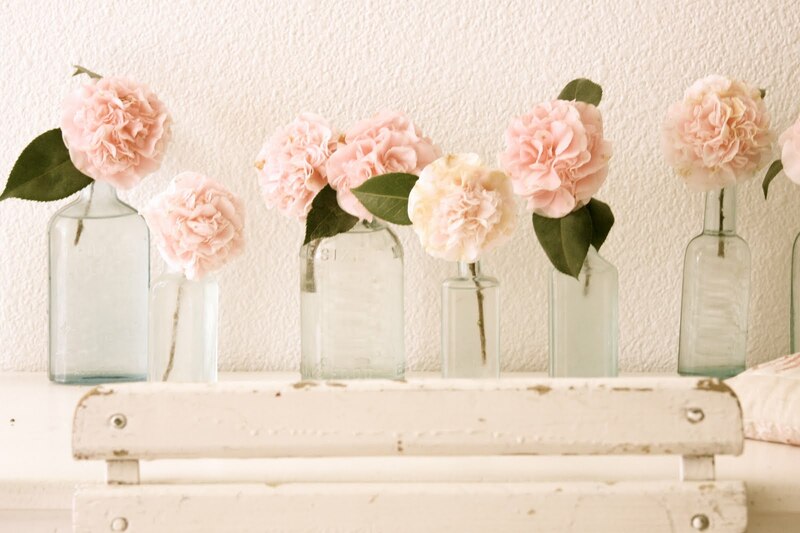 I love all these pretty bottles and blooms. So simple and so elegant. Hi Diane, nice one!!! Looking forward for more Beutiful Sunday posts! Super like ko ang ballet shoes, i love polka dots too! Have a blessed Sunday!! A beautiful Sunday to you Diane. It isn't Sunday here yet, but looking forward to a beautiful day. I think the new Sunday posts will be so much fun. I love, the vintag floral bottles. All of them are beautiful. Just like your Sunday! Those flowers in vases are very pretty! I think it's an easy DIY, don't you? A beautiful Sunday to you! It's a bit pricey in Bayo and Kamiseta. Pero relative to Zara and all those European brands, I most of the time choose the two kasi cheaper. 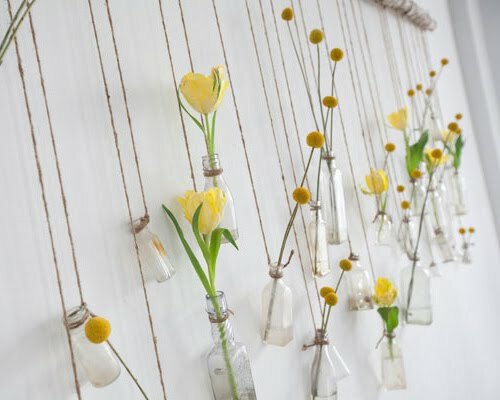 Ay gusto ko yung hanging bottles! I want that in my room tapos fake flowers lang para di nakakapagod palit palitan. I rarely shop but when I do, Kamiseta and Bayo is always on my list even when I think some of the clothes' prices are a bit steep. Good luck on your series! 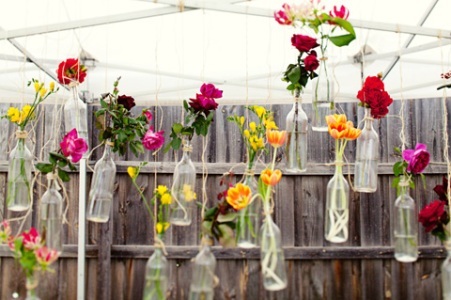 Those hanging flower vases are in my Pinterest! Just wait for the occasion in May :) Beautiful Sunday Posts are a great idea.